An Everyday Carry Knife (EDC) is actually a multipurpose tool that its holder carries daily for performing a variety of tasks. It is actually not a weapon. Originated before 2.5 million years during the Stone Age, a small cutting blade has now taken the shape of a versatile EDC knife. Today, such knives are looked upon as a threatening weapon, but in reality, they are handy versatile tools. Today, an EDC knife is used for a myriad of tasks such as opening packages, cutting ropes, cutting boxes, sharpening a pencil, preparing food, stripping wires, cleaning fingernails, and picking out splinters. However, if time comes, it can even turn into a self-defending weapon but only if the attack is really small. This is because most of these knives are too small enough to act really in a defending way. Nevertheless, EDC knives are quite reliable in case of an emergency. For example, they can easily cut the stuck belts of the seat in a wreck or cut fabrics for covering wounds. Similarly, they keep their owners safe during camping or survival emergency, such as by cutting tree limbs and refining wood for lighting up a fire. These days, even professionals such as network engineers, electricians, plumbers, and roofers have started using EDC knives. So, are you awe-inspired of these many uses of an EDC knife? Well, it is time to buy the best EDC knife for yourself! You may not be aware of the fact that there are regions or areas, wherein a larger knife is not allowed. Thus, the first priority before buying a knife is to check the local or regional laws regarding knives so that you can obey the legislation. Most laws ban big knives and luckily, the best EDC knives are shorter. Thus, in most regions, you may not face any legal issue. Still, do find out the local and higher government laws that dictate what is allowed and what is not allowed to carry. As a tip, consider carrying a copy of knife laws in your state. This is just a sign of being responsible. In case of confusion or a doubt, kindly avoid carrying a knife. While apparently there is no reason why an EDC knife cannot be carried or used, the below buying factors only apply if you stick to your local and regional knife laws. Most laws draw a line between what a tool is, what a weapon is, and what is agreeable to carry. A majority of states describe these details and put restrictions by blade length. A knife that is long up to three inches is usually allowed, as beyond that length, the knife turns into a weapon. In few states, you may also find a limitation on fixed blades and assisted opening knives. With a multitude of EDC knives promoting themselves in the offline and online marketplaces, it becomes quite puzzling and confusing to selecting the best one. This is highly applicable to those who are buying such a knife for the first time. However, this confusion and puzzle tend to go away if you consider a few factors or aspects of a knife. Many of these factors make EDC knife, the most practical tool for a variety of daily situations. So, let’s check them out! You need to know two things here: Each one’s situation is significantly different and that no single EDC knife is best for all uses although it is handy for all such uses. In short, there is no single EDC knife that is best or perfect for all users. While some need a small and light model, a few need smaller and lighter one. The latter are those who do not personally prefer a heavy pocket feeling. However, the former ones do not mind carry some weight, as they need it for heavy jobs such as in construction occupation. Most EDC knives for them are folding ones, which can fit in a pouch attached to the belt at waist. Those who wear tie and shirt will not prefer a large blade in pouches or a knife with pocket clips. For them, small, light, and pocket-friendly model works the best. Others may be restricted by the laws of their locality. As the name suggests, an EDC knife is a tool to be carried daily. This hints us that it should be as light as possible without compromising with the reasonable size. The 3-ounce knife is ideal, as it is not too light to give a cheap feeling and that it is not capable of weighing the pocket down even if there’re two or more things inside. If you are going to store more in your pocket, lighter model is a wise choice. However, this does not mean that having a heavier model of 4 to 4.5 ounces is wrong, in case everything in the model is reliable. Anything below 3 ounces is super light and very small. You should also consider the length of the blade, which not more than 3.5 inches is ideal. 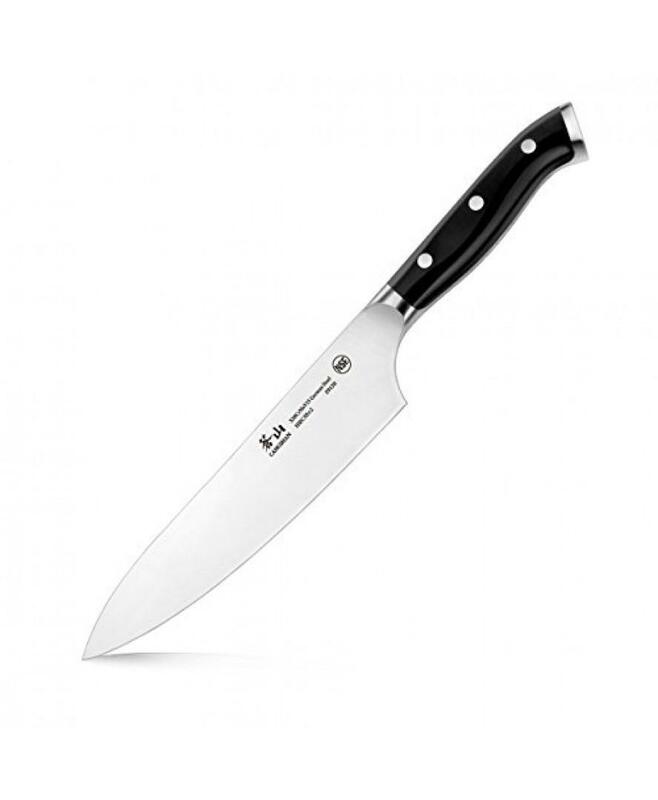 Usually, if the blade measures 3.5 inches in length, the overall length of the knife will fall between 7.5 to 8 inches. If you choose the knife of more than 8 inches, do look for the lightweight aspect. For example, it can have other characteristics due to which it can become an easy option for EDC. In most cases, the weight of 5 ounces for pocket storage is just fine. Anything beyond it seems to require an anchor. There is no use of the knife if its blade quality is not good. A knife residing most of the time in pocket is likely to pull sweat of holder toward it. It is recommended having a blade composed of tough steel, which is capable of holding the sharpness and edge for a long time. Another option is a corrosion resistant steel or a finish ensuring a good level of corrosion resistance. For good edge retention and resistance to corrosion naturally, you should consider quality steel materials such as AUS8 and 8CR13Mov for great resistance to corrosion, but softness make sharpening frequent, 420HC, VG-10 (on budget), 154CM (high end), and CPM S30V (premium end). In short, the blade material for an EDC knife should be able to endure the wear and tear of daily use. 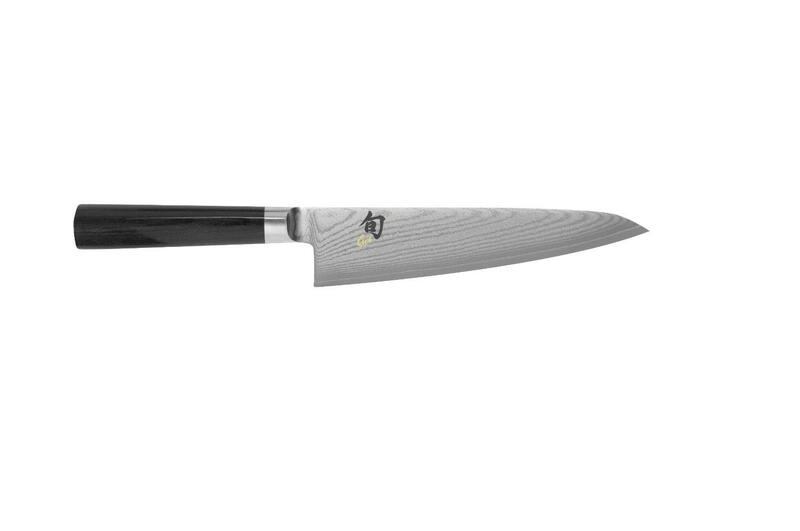 The carbon amount in the stainless steel indicates how much hardness the blade has. If it is too much, it becomes impossible to sharpen, while if it is too little, it becomes indispensable for the blade to rust. Just keep in mind that it is not about buying a knife with blade as big as possible. Blade length is actually about customizing to suit particular needs. Most common blades for EDC knives are between 2 to 5 inches. A small length gives more control, while a big one ensures a better reach. The 3-inch blade is preferable, as it adheres to legal laws. In addition, it gives several ways to hold and use the knife. You can achieve diverse tasks with this blade without any interference. Spear Point: Involves symmetrical meeting of spine and edge in the tool’s middle, which is ideal for very strong grip and pushing into the material. Drop Point: Involves gradual dropping of the spine’s angle in a convex way, beginning at or close to spine’s the base for meeting the edge. This shape is very useful and versatile. Trailing Point: Involves a thin blade tapering consistently in a direction of sweep back due to the meeting of edge and spine. This shape is ideal for pulling sweeping cuts and making delicate cuts with precision. Tanto: Involves consistent spine thickness up to the tip and is among the strongest blade types. It forms two edges both of which need sharpening. The look is much like cut off at the blade’s end at 45 degrees. Clip Point: Involves a look of cut off of the blade’s tip, giving a somewhat crescent tip or a flat clip point. It is different from a drop point, as the latter begins near the spine’s base, while the former shows the clip a bit far from the spine. Clip point with its thinner blade thickness close to tip is better for piercing than the drop point. Sheepsfoot: Involves a rounded over blade point to give more control as well as safety by preventing accidental poke. It is commonly used to trim and clean livestock’s hooves. It is traditionally utilitarian. Wharncliffe: Involves design similar to sheepsfoot but with the round over is slower while retaining the point and perfectly straight edge. Recurves: Involve an inward curve close to the blade’s base for facilitating aggressive cutting of stuff such as rope and bulky rope but at the cost of easy sharpening. Serrations: Ensure faster cutting in hard stuff such as thick ropes and hard plastic, but need alternate methods of sharpening. Jimping: Involves a group of vertical cuts to form ridges or teeth and provides more security in grasping the blade. Choil: Provides a forward grip and involves a partially round cut on the bottom just prior to the edge for greater control. Thumb Ramp: Is a part of spine close to the handle that shall be raised for accommodating thumb for giving more pressure. Swedge: Is formed by thinning the spine of a knife for losing weight without strength. In short, the blade for EDC should be non-threatening, functioning well, and having a shape without serrations and recurves for ease of sharpening as well as a thinly ground blade for efficient slicing. Selection from these two types is purely based on how you will be carrying the knife. Folding knives tend to be shorter but are thicker at the same time. On the other hand, a fixed blade is quite thinner but not relatively shorter. Further, a fixed blade is not dependent upon a locking system, but needs a sheath for safe carry. On the other hand, a folding knife simply glides into the pocket. The handle of your EDC knife should be durable, able to endure moisture, and should have a good texture ensuring a safe grip. There are a variety of materials available for an EDC knife handle, ranging from plastic to stone and from wood to fiberglass. However, below are the common materials, each with a different feel in hand and security level. Zytel: Is a thermo plastic, durable, and affordable. Fiberglass Reinforced Nylon (FRN): Is rugged, strong, and functional but is not attractive in terms of aesthetics. G10 and Micarta: Are similar because they possess layers just like fiberglass but with different materials. While G10 uses fiberglass, Micarta uses linen into a resin for layers after which it is compressed. However, both are lasting and sturdy materials. Carbon Fiber: Consists of alternating layers reinforced in plastic layers. This material is both aesthetically pleasing and rugged. Metal: Is usually titanium or stainless steel, which often adds to the overall price. Aluminium is also available but its grip is not that appreciable. Even the length of handle contributes significantly. Long ones can create more issues than the shorter ones. The former shall push itself out from the pocket whenever you bend. Thus, the handle should be not more than four inches. Retention in EDC knives is in two forms: Blade and Pocket retention. The former indicates how nicely the blade is kept down in the closing position, which is accomplished via friction. On the other hand, pocket retention indicates how well the tool remains in the pocket. The expectation here is that the knife should not fall out easily. Well, many carry options are available. While a few fit nicely, the remaining ones need a pocket clip. You can even carry an EDC on your belt or in a pouch. No matter which option of carrying you choose, the knife should be quickly accessible even though it is kept away. For this purpose, it is not essential to keep the tool around your neck for publicity. Usually, belt and belt holstered pouches do not fit when it comes to carrying the knife in offices or at formal venues. In such a situation, in-pocket and pocket clip options are handy. Depending on the finish and size of the clip in use, it might be quite noticeable, but not necessarily affixed out like a raised area. A few pocket clips are relatively more unnoticeable, while others allow a significant part of knife to be noticeable. However, a pocket clip allows accessing the knife easily as well as instantly for carrying out a small task. Of the two pocket-based mechanisms, the in-pocket one is preferable for secret carrying in a public place. However, finding it when too many things are kept in the same pocket is irksome. So, the ideal solution for this problem is to avoid keeping so many items in that pocket. You can also choose to switch between in-pocket and pocket clip mechanisms. Doing so can give the right balance, as per the setting. Slip Joint: Never locks and is least secure. It needs a bit of pressure to lock and unlock the blade. Liner Lock: Is quite widely used wherein the strained liner pops such that it keeps the blade stable when opened. It retains the blade in place, which is moved to and fro to open and close. Lock Back: Is a sturdy option with a noticeable locker behind the handle. It is released at the handle rear. Mid Lock: Is freed at the midpoint. Ring Lock: Features a ring that you need to move around the base of blade for unlocking and locking it. Lever Lock: Is commonly found on auto knives (switch blade). The lever pops the blade for unlocking and locking it. Frame Lock: Is much like the liner but the liner is replaced by a frame. You can choose any of these options. In case of any doubt, you can test them all at some reliable local shop. Doing so also gives you a feel of each of these locking mechanisms, which gives an idea of what works suitably for you. There are some really quick options here such as thumb stud (opens up fast) and wave (opens very fast). However, mechanisms such as nail need both the hands. However, it is not only fast deployment that you need to check for choosing the most suitable opening mechanism. Wave: Allows opening the blade the moment you pull it from pocket. It was introduced by Emerson knives. It exists in the form of a little hook in the tool’s spine and has a shape of a rolling wave. While moving the knife out from the pocket, this wave like hook grabs the pocket’s material to force the blade to go out from the handle’s interior. Thumb Stud: Enables opening the blade while holding the knife in hand and utilizing the thumb in a coin flipping mode. This mechanism of opening can really be too fast. Another variation of this mechanism is thumb disc, which is actually similar in operation. The only difference is that it is in the form of a disc on the spine and is perpendicular to the blade. Usually, thumb discs are included models having Wave to give more than one way of opening the blade. Spyder Hole: Is in the form of an open hole in blade that needs a part of thumb area open the blade. It is seen chiefly in Spyderco knives but even other brands include it as well. Nail Nick: Is widely seen in more traditional folders. Well, the modern knives come with nail nick and thumb stud to augment versatility. Auto: Refers to an automatic knife but such a style is considered unlawful in a few states. However, it is a great option to have if it is allowed in your area. The reason why it is banned in several regions is because they are deemed as dangerous weapons by the policy makers, especially in America and Britain. However, the laws tend to change on regularly basis due to which some regions allow using such models in a few circumstances. Travelers are not allowed to carry these knives on commercial flights. Usually, rules governing the use, possession, sale, and distribution of these knives or blades tend to differ significantly from one region to another. While these are the mechanisms classified as per the means of locking and unlocking, EDC knives are also grouped as per the involvement of hand for opening and closing the blade. This results in three categories namely, manual, automatic, and assisted opening. Manual: Involves opening and closing the blade manually, mostly via a nail nick as a little notch in the blade enabling you to do the task with your nails. If you are looking for a model that allows opening the blade with just one hand, thumb stud ones are always at your disposal for that purpose. Automatic: Involves pushing a lever or button for opening the blade. Assisted-Opening: Involves applying pressure directly to reach to the blade and is perhaps less common method. Still, it is a reliable option for those craving for fast access, such as survivalists. 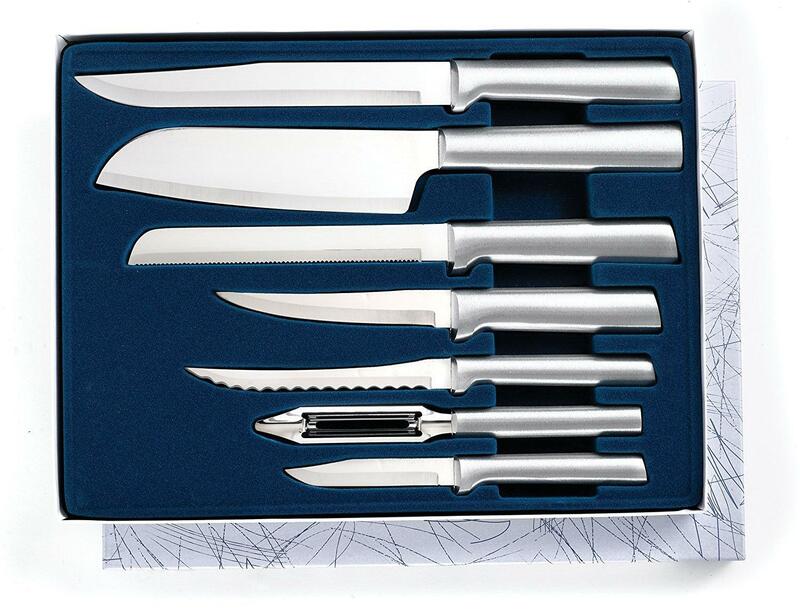 Nevertheless, these knives are receiving disagreements because of their somewhat resemblance to automatic models. While this factor is the most ignored one, it is worth paying attention to it. This is because finishing adds a layer of protection to blade’s steel to keep corrosion at bay. It also contributes to the appealing factor of the knife. Stonewashing: Refers to the procedure of dipping an unsharpened blade in an abrasive substance. Doing so scrapes the metal and forms a slightly tattered pattern. Protective Paint: Is applied as a layer on a blade. This paint is just not that ordinary house or spray paint. It is quite special, as it is exclusively made for knives to ensure better protection. However, the paint is likely to wear out with passage of time and frequent usage. Diamond Like Carbon (DLC): Is far durable than other options. It is also quite tough to discard due to which it defends the metal from scratches and any kind of rust. Appearance is much similar to paint but wears out quite lately. Blackwash: Is applied by washing the blade in a mix of water and colorant, which paves way for the dark colorant to accumulate in blade’s recesses. This procedure is repeated for creating layers to result in a dark finish. 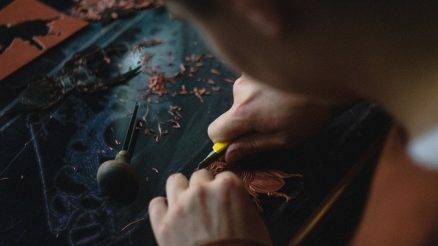 Etching: Takes place when the blade is poured into a mix of weak acid for a longer time than considered usual by the makers. Depending upon the metal that forges the blade, the procedure oxidizes patterns into it. It is obvious that functionality is given top priority over aesthetics. However, the two becomes almost of the same priority for many buyers when it comes to buying an EDC knife. This is because such a kind of knife is deemed as pocket jewelry with fully functional traits. So, in such a case, you should go by your preferences. Look is also an important factor to consider, as the knife’s threatening look is bound to ban your knife even if it could be legally allowed in the destined area. So, look for a non-threatening aesthetically pleasing model that you can carry in any public space and even in office, where the sensitive individuals do not get disturbed. However, if you are not a social fan and do not interact much with people, you can choose one of those tactical designs available in the market. While such models are undoubtedly aesthetically appealing with its astounding mechanization, a classic look is what is more preferred and is often tagged as the gentleman’s knife. Weighing only 3 ounces and blade length being only 3 inches, this one can be your ideal EDC. Similarly, with razor-sharp sleek blade composed of Sandvik 14C28N, it can be your most versatile option for cut a variety of things. The blade has a drop-point shape, which makes it ideal for slicing while the slender tip allows for piercing and detailed work. The SpeedSafe assisted opening system is convenient for both right and left-handed users. For confident lock while in use, a frame lock exists and that a tip-lock slider does the same when folded. This one lives up to its name ‘Tenacious’ meaning holding fast and being tough for fatigue free performance. 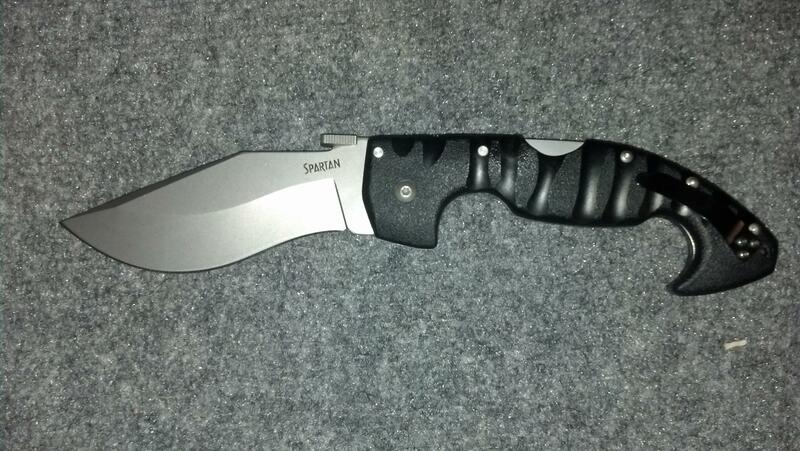 Well, the credit goes to the G10 laminate handle, 8CR13 steel blade, and pocket clip for secure carry. 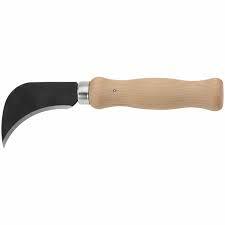 The blade has a leaf shape and ground flat edge for superb cutting performance. This shape along with jumbo round hole and textured jimping facilitate slip-proof performance. There is also a liner lock for safety purpose. It weighs 4 ounces and blade is 3 3/8 inches long. This one comes with extremely light and durable Zytel handle with jimping on spine and AUS8 steel blade retaining a nice edge while sustaining corrosion resistance and moderate edge holding traits. You are ensured of easy cleaning, more control, and easy carry. There is also a liner lock, flat ground binding, one-handed opening, and satin finishing. It weighs only 5 ounces with blade being 3.5-inch long. This one is famous for its 3.25-inch S30V blade with Tungsten DLC coating offering non-reflectivity, less friction, and more hardness along with textured G-10 handle scales for a safe grip. The SpeedSafe assisted opening contributes to one-handed opening. It is quite aggressive and weighs 6.2 ounces. This one is known for its thicker blade that retains edge longer and is of contractor or standard grade quality. The open length is 5.1 inches. Talking about the handle, it doubles as a money or pocket clip and has deep grooves for ensuring a secure fit. You are also ensured of liner lock safety. The best EDC knife is the one that accustoms to your daily changing requirements. Flexibility, durability, and ease of use are perhaps the main traits to look for an EDC knife.